VACCO’s cold gas Micro Propulsion System (MiPS) provides attitude control and orbital maneuvering. SWRI’s CuSP program utilizes VACCO’s cold gas system to achieve highly reliable propulsion while serving as a space weather station. 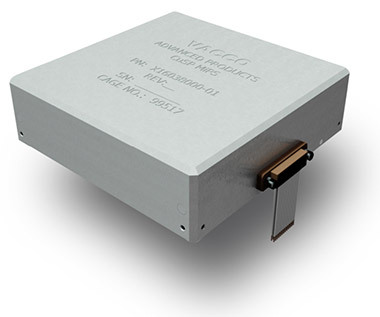 The VACCO CuSP MiPS is approximately 0.3U in volume and uses four 25 mN cold gas thrusters to develop 69 N-sec of total impulse that provides 8.8 m/s of delta-V for an 8 kg CubeSat. Each thruster independently operates to perform both delta-V and ACS maneuvers through an integrated microprocessor controller.